We have a long-standing cooperation history with higher education institutions in Kenya. Since 2003, we have spent almost EUR 26 million in cooperation with Kenya, including a long-term Institutional University Cooperation (IUC) programme with the University of Nairobi, Moi University and Jomo Kenyatta University of Agriculture and Technology (JKUAT). The outphasing IUC programme with Moi and the ongoing IUC programme with JKUAT are the cornerstones of the Kenya country programme. 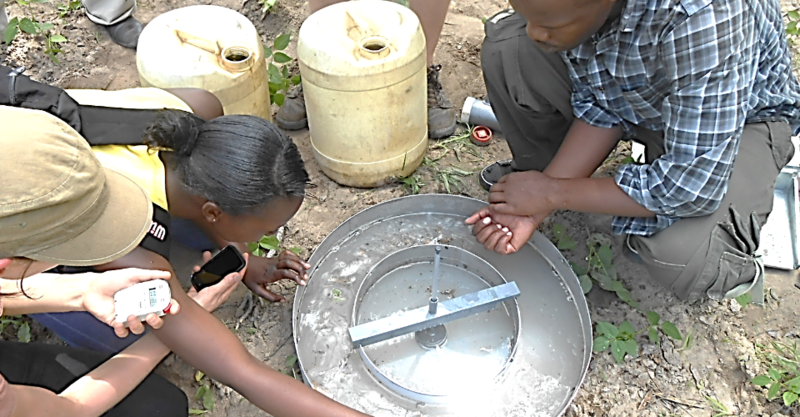 Research-based education for sustainable rural development Initiating a Training Network and Capacity Building to Improve Control of Foot-and-Mouth Disease in Kenya and Ethiopia. Health. Subthemes: reproductive health, public health, phytomedicine, disease surveillance, etc. Natural resources management and development. Subthemes: water resources, biodiversity, textile, oil and gas exploitation, etc. Food security. Subthemes: food production (agriculture, aquaculture, animal husbandry), fisheries, food processing and marketing, food safety, etc. ICT development and statistics. Subthemes: ICT in education, ICT in lab practice, virtual networks, ICT infrastructure, data analysis, biostatistics, etc. Kenya Marine and Fisheries Research Institute. Other higher education institutions, accredited by the Commission for University Education and other public (non-profit) research institutes, can also be involved. South Initiatives are open to all accredited higher education institutions.